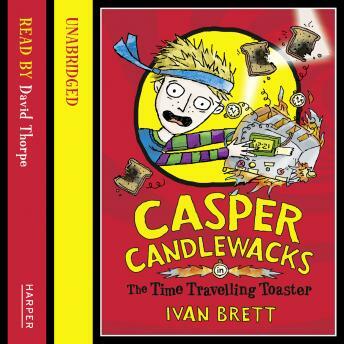 Casper Candlewacks is the only boy with any sense in a village full of idiots... the fourth and final instalment in the hilarious Casper Candlewacks series. Luckily Casper has Lamp to him company - his less-than-bright best mate who is also a strangely ingenious inventor. Lamp's latest invention is a time-travelling toaster - or so he says. But can a toaster really transport them through space and time or will they both just end up as toast? The final tale in the hilarious Casper Candlewacks series. You'd have to be an idiot to miss it!